I have a plethora of slightly used / brand new memo [list] pads and I want to share my stash! Thanks for all those who participated in round 1! And good luck! One lucky winner [whoever I end up being partnered with after partner assignment for my swap] will receive a bubble mailer FULL of memo pads [some slightly used, some new] from me. I will send it via USPS with a tracking number. "The time when a memo pad was most useful to me was when __________"
The time when a memo pad was most useful to me was when... I was in an important meeting and REALLY needed to do some note taking.. that's when I noticed I had a memo pad with me! The time a memo pad was most useful was when I needed to write something down & all I had was kawaii memopads to write on. "The time when a memo pad was most useful to me was when ... um, I needed one! I know that sounds stupid but I have an entire room full of paper. I never truly need a memo pad! But I love them because they are quick to grab and already decorated! The time when a memo pad was most useful to me was when I was on the telephone and was scrambling for a piece of paper or anything to jot some information down really quick! The time a memo pad was most useful to me was when talking to a doctor who started giving instructions over the phone. I had to write it down quickly. The time when a memo pad was most useful to me was when I need to send a short note home to a parent, or want to leave an encouraging message to a student that is just for them. The time when a memo pad was most useful to me was when I was in a training class (for work) forgot my notebook, but had a memo pad in my purse! Saved my @$$ I definitely needed to take notes in there! The time when a memo pad was most useful was when I needed to take notes at church but I had forgotten my notebook at home. I always keep a memo pad in my bag for emergencies. The time when a memo pad was most useful to me was when I needed to take notes at church but I had forgotten my notebook at home. I always keep a memo pad in my bag for emergencies. The time when my memo PD was most important to me was when I had nothing else but the memo pad and a crayon. I had to take a message for my husband. Lol. The time when a memo pad was most useful to me was when everytime i go to the grocery store! If i dont have it, i feel so lost! Im one of those who loves to cross things off my list. Memo pads are sacred in this home! haha. The time when a memo pad was most useful to me was when I'd just woken up from my coma and I had to try to write to tell people what I needed because I had a trach in. The time when a memo pad was most useful to me was when I won a decent jackpot at a casino and I had to calculate by long division what I had won. It was a big number but the denomination was nickels! Ha. I put memo pads I the car, by my reading chair and on my nightstand. When I have a. Idea I can write it down. If cohrse, have a pen handy, tok! The time memo pads are most useful is generally all day everyday. I keep all over the house, office and purse. How many times have we all forgot to write something down due to no paper? Thats me so i write notes for everything that pops up. The time when a memo pad was most useful to me was when my car was hit by a runaway luggage cart in a hotel parking deck! I was able to take down the insurance information of the person who was "handling" said luggage cart (not a hotel employee). Which is why I always keep a memo pad in the car. The time when a memo pad was most useful to me was when I need to jot down a quick list of what was needed when I go grocery shopping. The time when a memo pad was most useful to me was when I was hospitalized twice when I was taking notes from the doctor, and it was helpful for my mom to take notes as well if I could not write, like when I was in a medically induced coma 5 years ago or when I recently had cancer surgery in February 2019. I love memo pads and keep them with me all the time! "The time when a memo pad was most useful to me was when I was on the telephone with my insurance company and they started giving me information about my claim and I needed to write the information down quickly. Luckily I had a mremotes.and pen close by in the basket where we keep the TV and DVD remotes." The time when a memo pad was most useful to me was when my Dr. was giving me instructions and I needed to jot them down. The time when a memo pad was most useful to me was when I had to write down a phone message, I always keep memo pads by the phone!!!! The time when a memo pad was most useful to me was when...anytime i'm on a phone really, and I need to write something down! The time when a memo pad was most useful to me was when I found myself sitting next to a fidgety first grader on a flight. Mom had her hands full with two other siblings and I kept him distracted with tic-tac-toe, the box game and hangman long enough to get him to stop kicking the seat in front of him. I think the mom was relieved and I know the dude in the seat in front of us was! The time when a memo pad was most useful to me was during grad school. I was working full time, plus an extra job, trying to still be a great Wife/Mom/Nana...and NEEDED to keep everything in order so I could remember important details! Still love list making on memo pads! The time when a memo pad was most useful to me was when I needed little reminders. I have a horrible memory and forget some of the simplest things. I write lots of little reminders to post around like brush your teeth, take your meds, put the cap back on the glue... Sometimes it still doesn't help. The time when a memo pad was most useful to me was when there was a unplanned meeting that I had to rush too. I had no note book with me. I was about to use a couple receipts I had in my purse lol, until I spotted my mini note pad. I used up most of them, but I got my notes written LOL. The time when a memo pad was most useful to me was when I was getting ready to go to Disney, and I wrote down a list of things to pack and some extra little reminders on a Mickey Mouse memo pad! I had a great time- but I did need to purchase a phone charger and a tube of toothpaste, I forgot the simple things XD! The time when a memo pad was most useful to me was when I was growing up - in the 70's - when there were no cell phones or text messaging. I miss seeing (and leaving) the little cute notes on the fridge -- "Ran to the store. Be home soon!" or "Dinner is in the fridge! 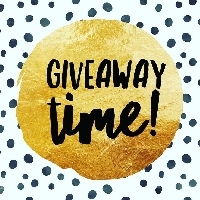 xxxooo" Thank you for hosting this fun Giveaway! The time when a memo pad was most useful to me was for keeping track of swaps! The time when a memo pad was most useful to me was for writing down instructions when the Doctor called regarding my Mom's plan of care change. The time a memo pad was useful to me was....always!! I write down ideas for swaps, questions for my doctor when I go for a visit, grocery lists, to do lists, lists of swaps I need to finish, gift lists, etc. I use memo pads all the time!!! The time when a memo pad was most useful to me was when there was a domestic violence incident at work and I grabbed the closest memo pad to me so I could try to grab license plate info and all the info I could while I was calling 911. The time when a memo pad was most useful to me was when I was waiting for a very important phone call and when it came, I used the memo pad to write down all the details that I needed. (This was before you could take notes on your cell phone.....) (But today, I STILL use memo pads for writing myself notes. The winner is... @zurdoswifey !!! CONGRATS!!! The time when a memo pad was most useful to me was when I needed to write down directions to someplace so I wouldn't get lost!